I've never seen myself as a travelling person from years ago. But when i experienced and learned a lot of things through travelling, it made me decide to choose this life. So count me in as one of your DIY travel backpacking buddy! 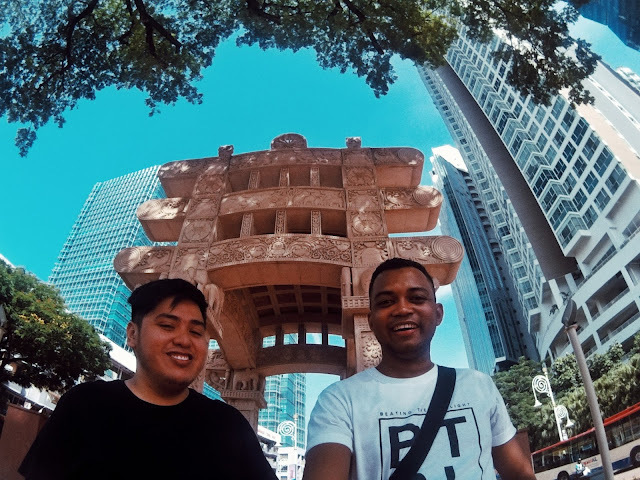 So we went to Malaysia and Singapore months ago, The original plan was just to go to Malaysia but since Singapore is just a ride away, we have decided to give it a go. I am the person in charge planning all about this trip. From itinerary, travelling time, places to stay and all. Perks about this are you get to go to places you like to see, you will learn so much about geography, commuting in foreign land and wonders of each country as you do your research. It was my first overseas travel and my first plane ride alone as well, so i was kinda excited and scared at the same time. But still I've learned a lot from this travel, and i really wanna share what I learned and experienced in this trip esp, how to reduce cost yet still getting the most in your 5 day travel. 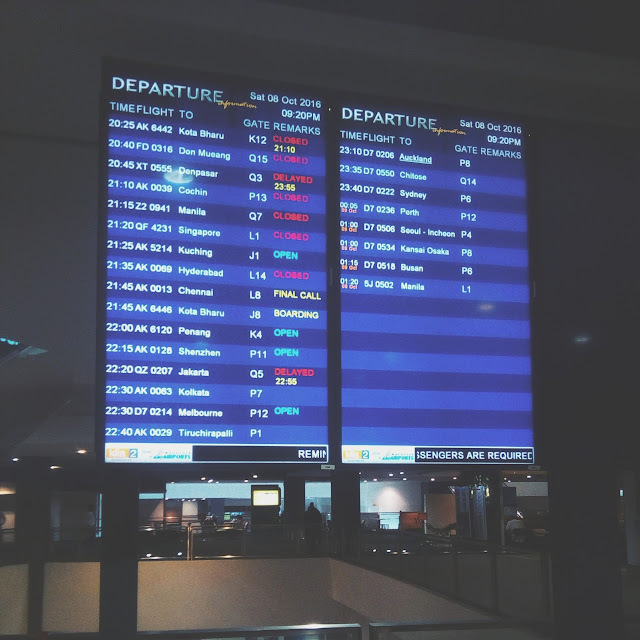 We were able to book the Cebu Pacific Piso fare for only Php 800! Total of Php 1600 round tip from Manila to Kuala Lumpur and vice versa. 1. Always scout for cheap flights and plan your trips months ahead to our travelling time. 2. Be at the airport 3-4 hours before your flight - expect the worst so allocate a lot of time. You don’t want your dream trip to be ruined just because of the traffic, immigration issues or you unable to navigate the airport. 3. Bring all the possible IDs you can have – Just to make sure you can make it, always bring your identification for security purposes as well. 4. Bring your pen, departure and arrival in Manila – Oh yes, prepared for this as my friends told me to bring this because you have to fill out stuffs in the immigration and NAIA don’t have pens. I had experience borrowing pen when I arrived back, pretty embarrassing because you will delay yourself and the person lending you their pen with. 5. Bring snacks/stuff you can kill your hours waiting – Since there’s a chance you’ll be waiting especially in boarding the plane, you’ll surely get bored. Good thing that NAIA 3 is equipped with fast wifi now. Also if you are really serious about travelling in a budget, airport foods are costly. 6. Read your Itinerary and all important stuffs – Preparedness is always the key, research, ask, read and educate yourself esp if you are travelling alone. Understanding flight's do’s and don’t’s and all the things about flying so you’ll surely get your feet on the plane. 7. Don't pay for excess baggage, always bring things that are only important! Less clothes and bring wearable that can last for days. You can do your laundry in your hotel or in the local place. 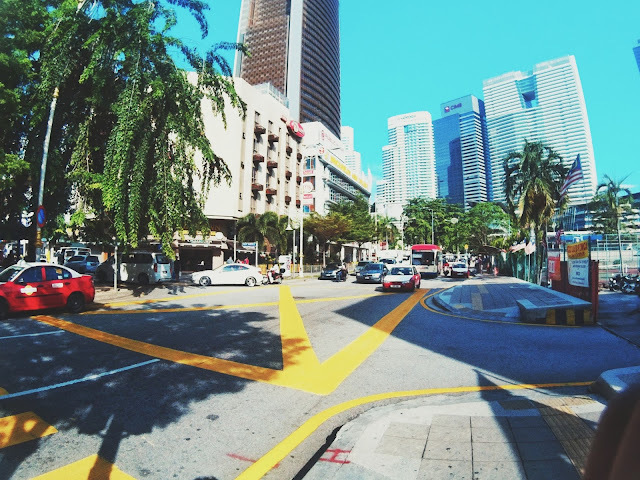 My classmate works in KL so I have no worries about getting around the city. He fetched me up from the airport and we stayed and roamed around KL sentral station in ML and Brickfields little India at night. 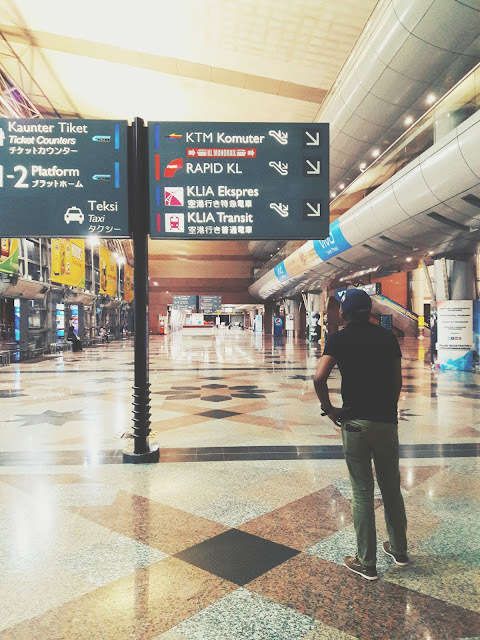 Standing in KL Sentral Station. The Sentral Station connecting all the railways in Malaysia. as your starting point of commuting. 1. If in case you are travelling alone, or first time. Either you can ride a bus (3 hours away, depends on the traffic) from KLIA2 or KL express train (30 mins away from KL sentral). 2. 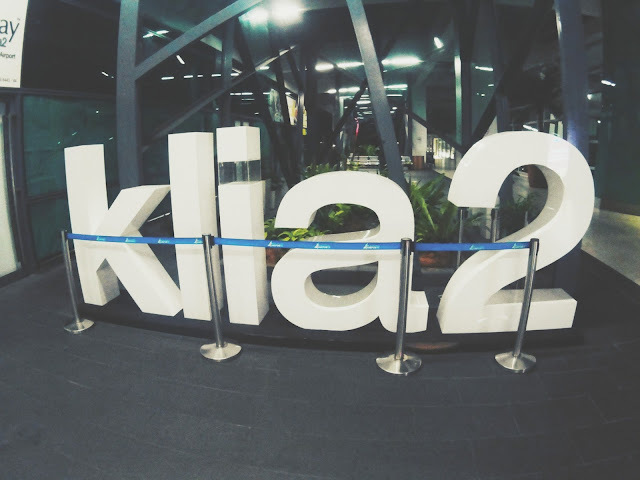 The KLIA2 is not in Kuala Lumpur but in a province near the city. This is also to avoid traffic and other issues concerning the airport In their capital. 0007: Brickfields Little India - Breakfast. My classmate went home to prep and get his stuff for our visit in Singapore. There are three of us travelling and my schoolmate who checked in in a hotel in brick fields took care of me for bathe and to also prep for our noon travel to Singapore. 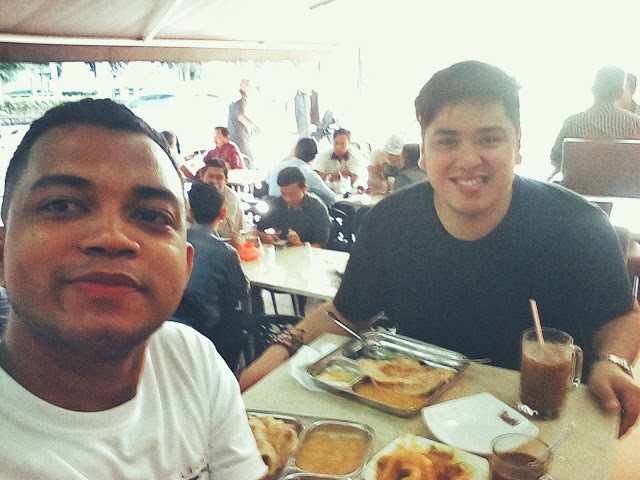 We had breakfast around Little India and roam around until 10 am. 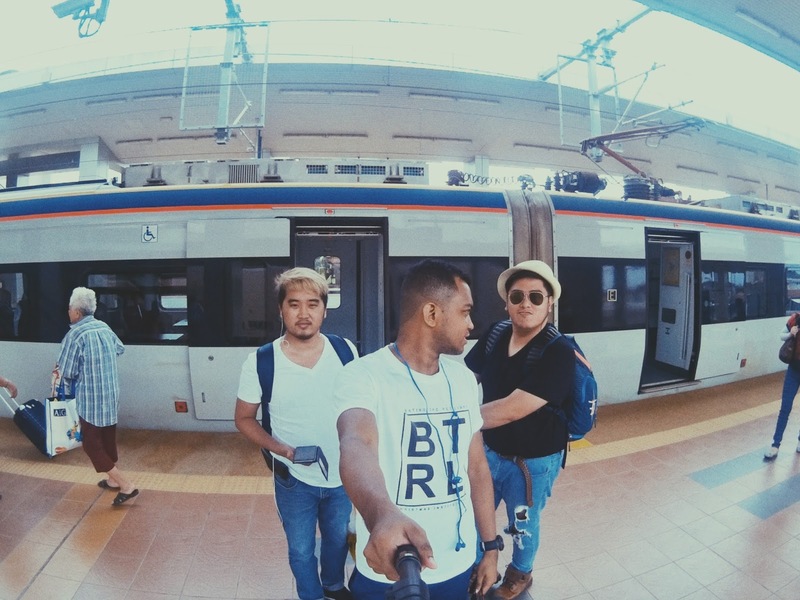 Tip: You can get faster to JB Sentral in just 3 hours from KL by riding a bus. I suggest you do that instead of train since you better lessen the time of travelling in roads. If you are rich, you can book a flight straight to SG! 0012: KL Sentral - Johor Bahru - Singapore City. 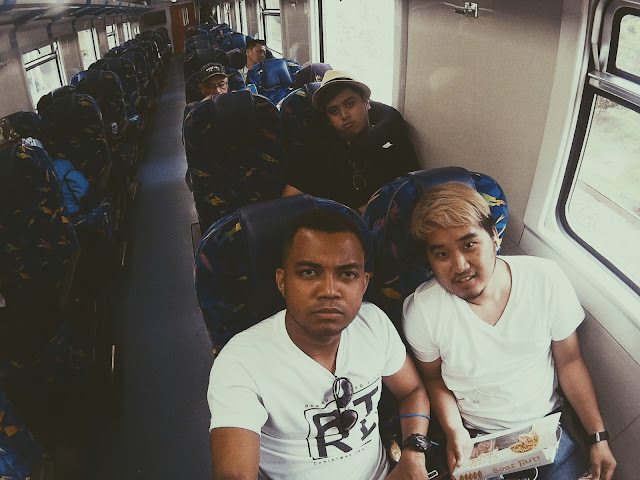 A 7-hour ride all the way to Gemas – Johor Bahru. Remember that KL and JB sentral no longer connect the same rail. 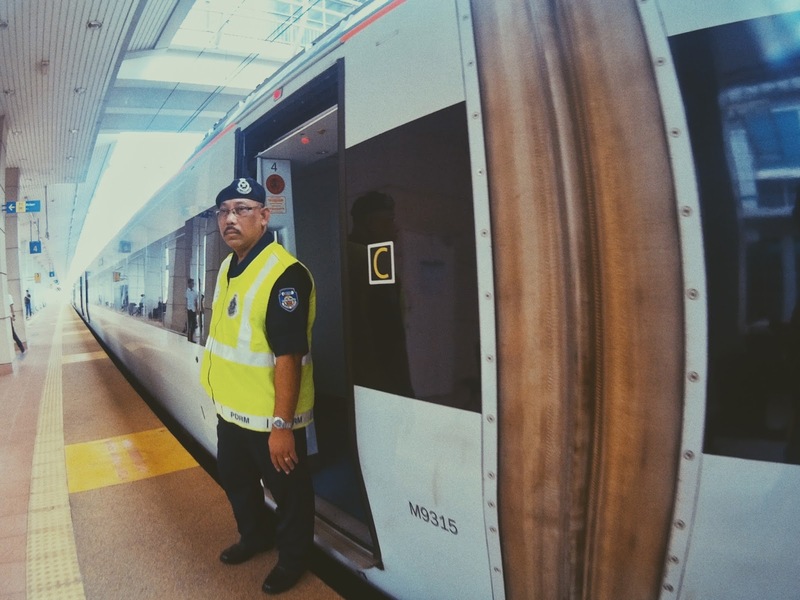 So you have to transfer from train to train in order to get to Johor Bahru, the border of ML and SG. 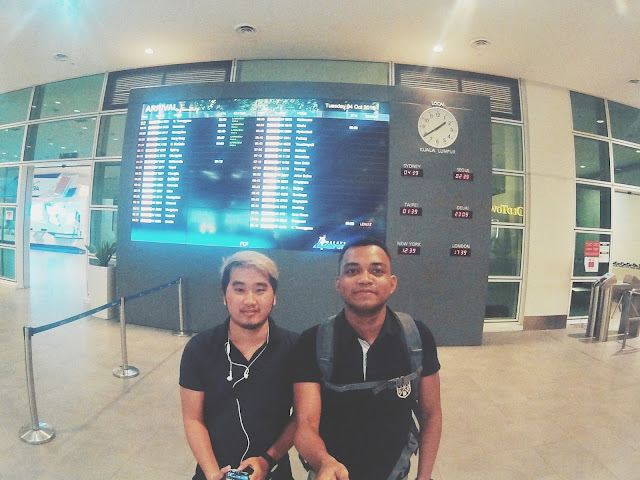 0019: Arrived in JB sentral. No worries because you can ask question or even just go to the flow of people and you’ll know where’s the immigration in SG. When we’re there, the line for stamping is long Unlike the Malaysian immigration where you can get a stamp immediately, for travelers going in Singapore, there will be an interview, show money and surrendering of passports. It’s part of the process so don’t be scared. 1. It's normal that they will get your passport. 2. You'll have to show your plane ticket or even discuss your money allowance and your plans in Singapore. 3. You'll have a one-on-one interview with the immigration officers in a room. 4. Once you got stamped, make sure that you keep the white paper/any documents they'll give you because they will ask it once you leave SG via Johor Bahru. I guess this is a proof that you went to a legal immigration process when you entered the country. 5. Once stamped, you will ride in a bus below the immigration. Bus destination is only after the friendship bridge. You have to ride another bus going to your location in SG. Yes! That took us almost the other day travelling. 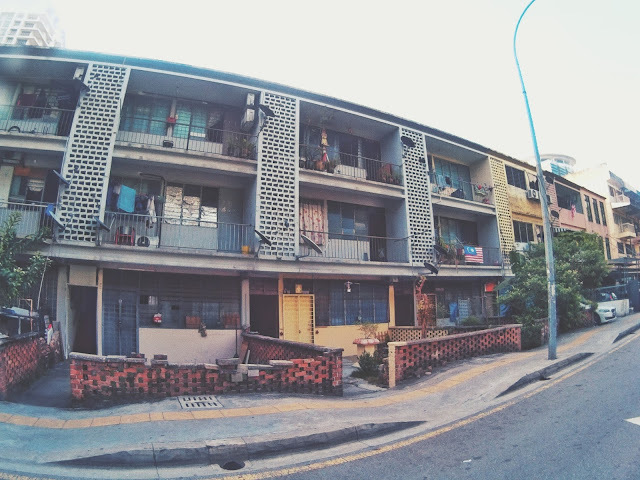 We arrived late in our hostel in Travellers @ SG. Good thing that they have a self service reception so you can easily see your name, keys and room number allocation. We also have a free food and bathroom stuffs – good place to stay! 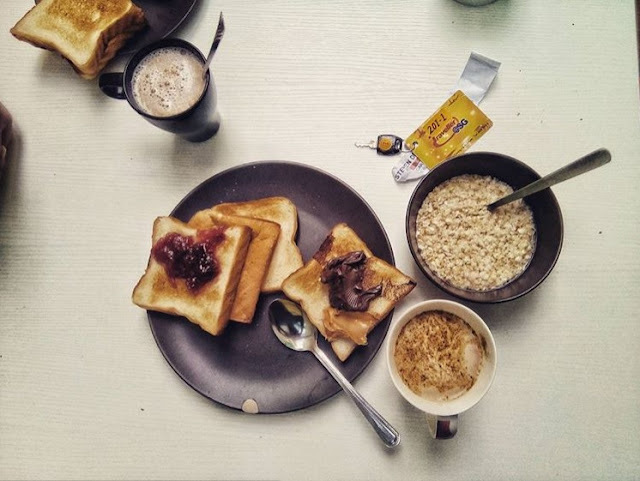 Firts breakfast in Singapore in our hostel. All you see in the table are free and included in what we have paid. Bonus: Our receptionist is a Filipina so it's easy to ask questions about SG. We also got our Universal Studios ticket here in our hostel that's less than SGD 50.00 rather than buying it in the park/upon park entry. 10 Free Things to do in Singapore: DIY Travel Guide. 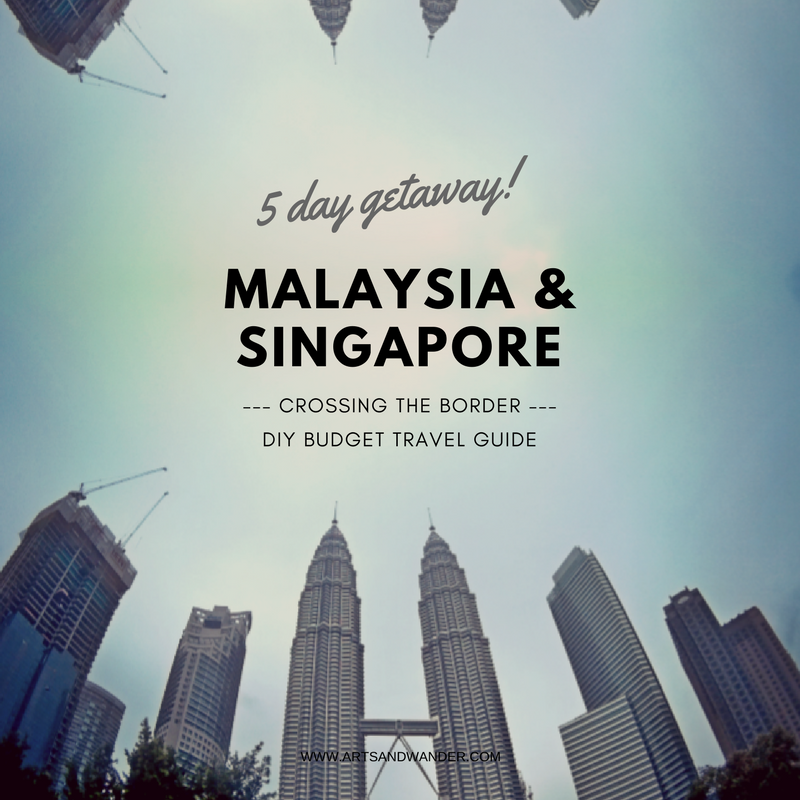 Download a DIY Budget Travel Guide: 5 Days in Singapore & Malaysia. These are great tips for first timers and good reminders for infrequent travelers like me. I can still remember the stressful process of going through the Singapore immigration when I took the bus and I never like traveling because of the long hours wait at the airport! Oh Yeah, makes sense because you live in Malaysia right? I have been visited Malaysia and Singapore and I love them!!!! Good to know! Thanks paola! Wow thanks shivi! I have part2 and it will tackle more about Singapore. Share more photos of it! Yeah i did! Such a memorable experience. You should visit the country!